McRae Williams was just another professional freeskier in the fall of 2016 when a longtime relationship started to go south. “I was just struggling to stay positive and keep on course—personally and professionally,” he says. In short, he was an extraordinary man dealing with ordinary concerns. It just so happened that sponsor lululemon sent him a care package that featured the book The Mindful Athlete, which introduced him to the practice of meditation. So began a transformation of Williams’ mindset, which led to a transformation in his career. That winter, his 2016-17 season, was his best ever, with competition wins around the world. The following year he earned a spot on his first U.S. Olympic team for a trip to the PyeongChang Games. Whether you’re a pro on the snow or a whiz on the keyboard, everyone can benefit from meditation—and not simply the international yoga retreat variety. Many activities have meditative qualities that enhance the mindset of the person on the go. We compiled our favorites across a wide range of mediums, plus the tools to help you get started. It sounds simple, but a soothing smell can be a powerful means of snapping us out of our future concerns and into the present moment. A recent study by physiologist and neuroscientist Hideki Kashiwadani suggests that certain scents can offer an anxiety relief similar to taking Valium. “Many people take the effects of ‘odor’ with a grain of salt,” Kashiwadani said. 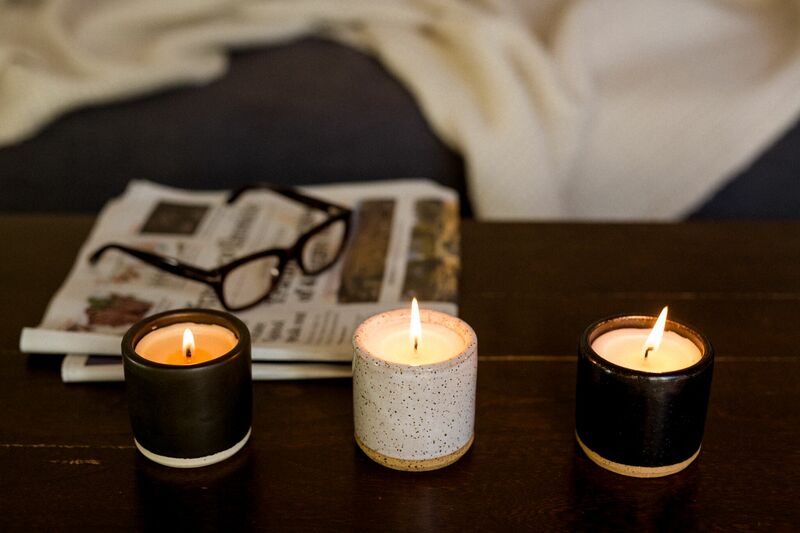 “But among the stories, some are true based on science.” Smells can also help create an ambiance that can transport you to your ‘happy place,’ which is why many candles are designed to smell like a particular location (like a national park). “As much as we’d love to, we can’t always be out on some epic adventure—so we tried to capture our favorite natural scents to keep us inspired even when we’re indoors,” Huckberry Head Home Buyer Meg Muirhead says. Sure, you can cross your legs and sit on the floor, but if that doesn’t work for you, it can be just as effective to kick back on the couch with a glass of bourbon, close your eyes, and breathe deep. If the idea of sitting still for a traditional meditation practice sounds anything but relaxing to you, a little bit of cardio might be the solution. Because the body is moving, it’s easier to stay in the present and be mindful of both physical and mental sensations. 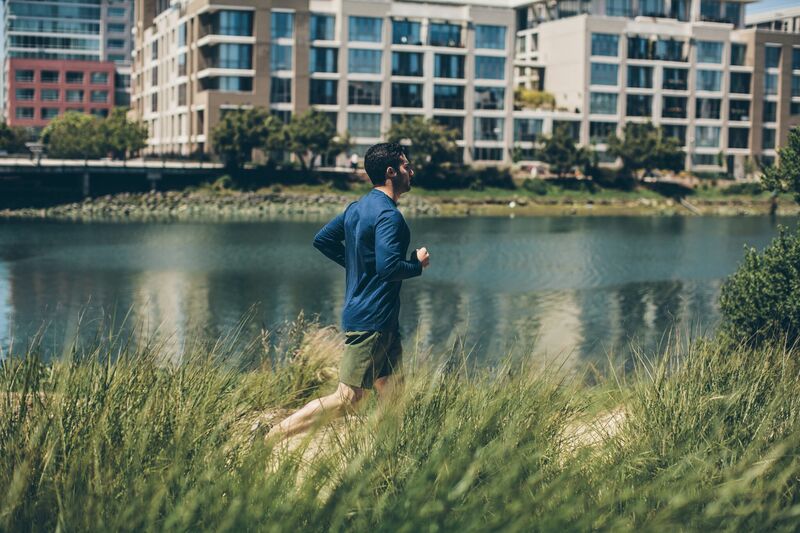 To begin walking or running meditation, you’ll want to find an area that will be relatively free of distractions (like busy intersections) and set aside a designated amount of time just for practicing mindfulness. It can be as little as five minutes—the important thing is you don’t combine your meditation time with errands or anything that could cause the mind to wander. Instead, stay in the present moment by focusing on physical sensations, such as your lungs filling with air or your shoes meeting the pavement. When you do catch yourself lost in thought, acknowledge that and bring your focus back. There’s no one way to practice walking meditation, but if you need a little extra guidance, you can follow along with an exercise from Headspace or check out this science-based step-by-step guide. It’s no big surprise that listening to music can calm you down, but its effect might actually be more corporeal than you think. Listening to music is proven to release mood-boosting neurotransmitter, dopamine, in the brain. In a 2006 Harvard University thesis titled, ‘The Effect of Music on the Human Body and Mind,” Dawn Kent sought to uncover why music has been used in healing rituals throughout history around the world. “Physiologically, music has a distinct effect on many biological processes,” Kent wrote. “It inhibits the occurrence of fatigue, as well as changes the pulse and respiration rates, external blood pressure levels and psychogalvanic effect.” But not all music has the same effect—another study showed that young drivers made more mistakes when listening to music of their choice, and performed better with researcher-provided music. 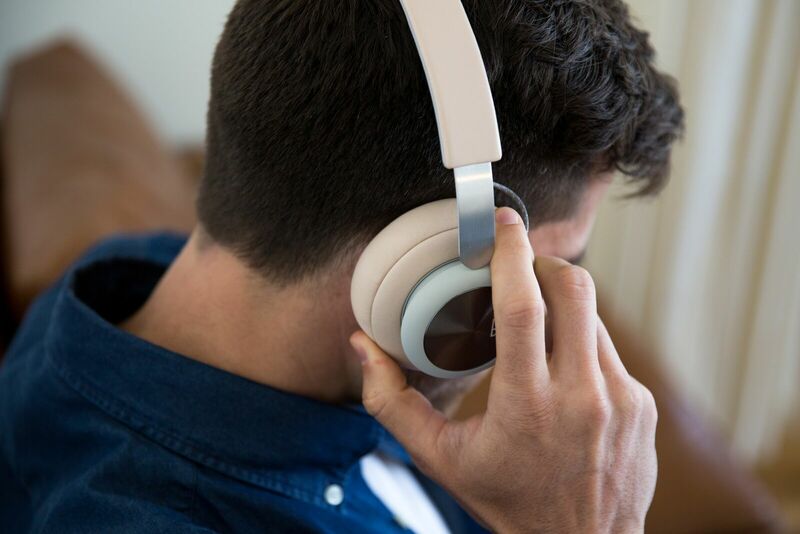 So rather than flipping on your favorite playlist for meditation, try something you’re unfamiliar with to avoid distraction—this audio meditation track for creativity is a great place to start. More than listening to music, playing it has proven to significantly improve motor and reasoning skills in children, but hey—it’s never too late to learn. While photography is often thought of as something that pulls you out of the present moment in pursuit of Instagram “likes,” it doesn’t have to be that way. 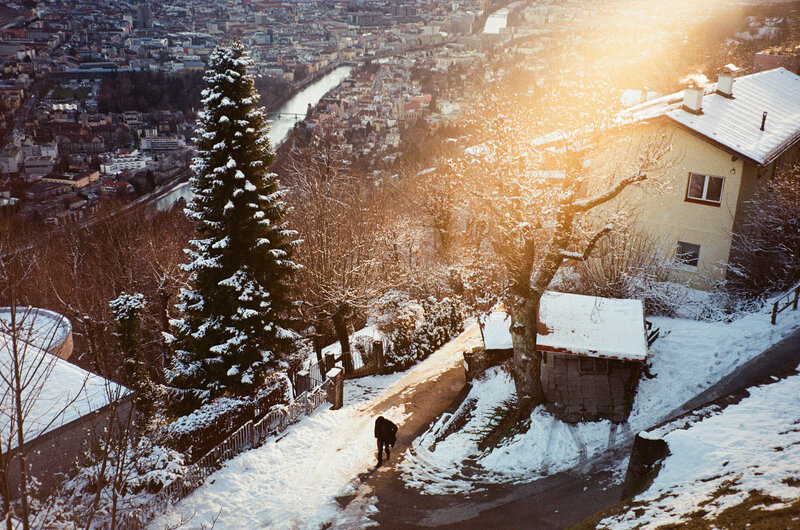 Analog art, such as film photography, can be an excellent way to slow down and reflect. With film, you’re limited to just 12, 24, or 36 shots per roll, so you’re forced to be much more deliberate about what you choose to try and capture. “I shot my first roll of film on a trip to Australia and I think it’s a way more relaxing way of documenting everything than digital.” says Huckberry Social Media Editor Tommy McDermott. “I find shooting film is especially great when you’re exploring somewhere new because you can’t just run and gun, constantly checking the screen to make sure you got the shot. You have to just notice something, make a decision, and hope for the best. It keeps me much more present and prevents me from dwelling too long on anything other than what I’m experiencing. Plus, there’s no feeling like finally getting a roll developed and being happily surprised by a cool light leak, or little details you didn’t notice before.” Pick up an old 35mm camera off eBay or Craigslist, roll the dice on a few rolls, and start taking it easier. You probably know that journaling is good for reflection and mindfulness, but if actually putting pen to paper feels odd or just downright intimidating, consider this: Overcoming that discomfort could lower your stress levels, keep your memory sharp, help you find clarity in your goals and self-identity—and it really doesn’t have to be that hard. 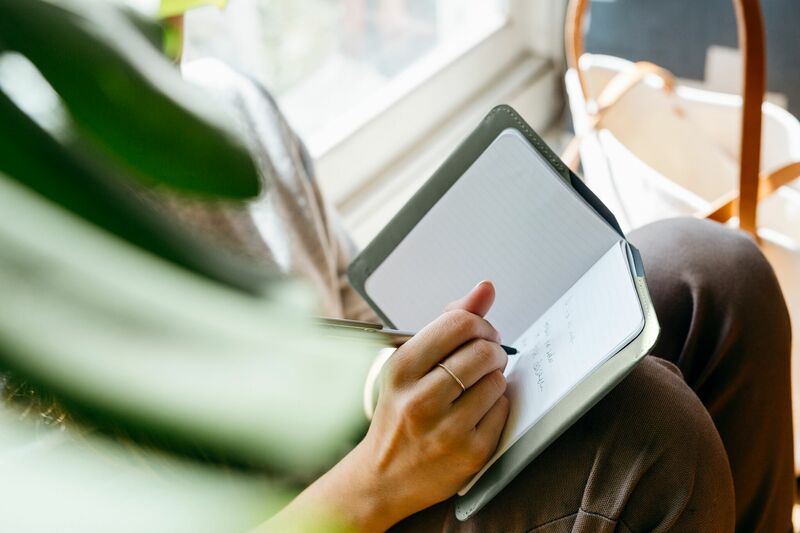 You don’t have to begin each entry with, “dear diary,” write in poetic prose, or dive into your greatest fears right off the bat to reap the rewards of a writing habit (unless that works for you—in which case, go forth). There’s no right way to keep a journal, but if that lack of direction can make beginning feel overwhelming, allow us to share one method. Start by writing down one good thing that happens each day. Don’t worry about the quality of the writing (or spelling) or addressing it to anyone in particular, just recall a positive moment and record it. Remembering the good things can train your mind to identify silver linings during seemingly unremarkable days and shift your outlook on life to be altogether more positive. And if you eventually find yourself wanting to expand your entry to include your setbacks, goals, and general musings, then congratulations—you’ve officially become a journaler. Or, if you need a little more structure, variety, or just a challenge, MindJournal makes a great guided program especially for people looking to get into it.